New images have been released of the £20m Tomorrow building, a new gateway to MediaCityUK and a major new home for creative, digital, media and broadcasting businesses. The new development, which will be officially unveiled tomorrow, features a large installation of coloured LED lights that display bespoke motion messages on the exterior of the building. Creative workspaces cover six floors of the building, and agreements have been reached with several companies, including digital and tech agencies, to occupy space. The ground floor co-working space will provide a place for relaxed meetings and hot-desking, as well as retail space, while the upper floors will feature a 112-bed Premier Inn hotel over four storeys. 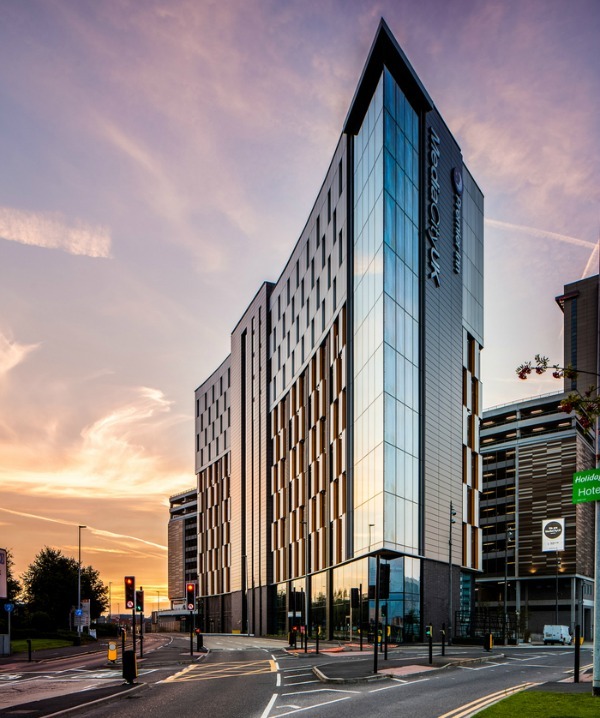 MediaCityUK managing director, Stephen Wild, said: “These pictures show what an exciting new hub Tomorrow is for creative and digital firms as well as visitors of MediaCityUK. It is designed to be a highly flexible space – a key consideration for occupiers in the rapidly changing world of workspace. MediaCityUK is home to BBC North, ITV, Coronation Street, SIS LIVE, the University of Salford, dock10 and over 250 smaller creative and tech businesses.